I have a small traditional IRA that I’m tired of dealing with. I’m no longer contributing to it, and would like to roll it into my 401(k) so I won’t have to keep track of two accounts. Can I do this? The short answer is that yes, you can roll the funds from a traditional IRA into a 401(k) as long as the 401(k) plan allows it. The same goes for doing a rollover into a 403(b). The slightly longer answer is that you can only roll over tax deductible contributions and earnings. Thus, if you’ve also made non-deductible contributions to your IRA you won’t be able to move the full amount. Rather, you’ll have to subtract out your “basis” when determining how much money you can move. It’s also worth noting that inherited IRAs cannot be rolled over in this fashion. Another important question is whether or not you should execute a rollover of this sort. While it might be convenient to consolidate your accounts, you should look carefully at the investment options and fees in the 401(k) plan before executing the rollover. If your 401(k) options aren’t great, you might be better off keeping the IRA. Another minor consideration is that you can withdraw funds from your IRA whenever you want. While withdrawing funds from an IRA isn’t typically a good idea, there are circumstances in which doing so is the lesser of two evils. You’ll have to pay taxes and penalties, but you can access IRA funds early. In contrast, you’ll have to meet specific hardship guidelines before you can touch the money in your 401(k). Hello. If you roll an IRA into your 401k, that money does not count toward your annual contribution limit. You are still able to contribute the maximum salary deferral based on the 402g limit for the current tax year. 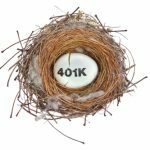 You can roll an IRA into a 401k to avoid an RMD, but not once an RMD is due and not if you have previously started taking RMDs from that IRA. If completed sooner than an RMD being required, the IRA is just a “rollover” source of money in your 401k, so you can delay the RMD. 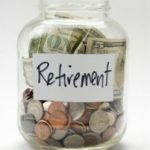 Consolidating Retirement accounts is extremely beneficial!!! Fees are generally less and most plans allow you to withdraw funds that have been rolled in at any time, without having to meet hardship guidelines. Some plans also have loan provisions so you can access the monies without the same tax consequences of a withdrawal. Can you roll your current IRA into a 401k if you are over 70 and a half to delay or stop taking taking your RMD? I have $5000 non-taxable IRA basis, invested in certain stocks, which worth $4000 now; I also have taxable IRA contribution of $6000, which is in cash now. Is it correct that I can only roll over $5000 to 401k since I need to keep the value of the asset left in my IRA account at least equal to the basis $5000? Now let’s say I requested a roll over check of $5000 from my financial institute today. On the second day when the check is actually cut, because of the stock market changes, the value of the asset I left on my IRA worth only $4800, which is less than my IRA base. By the time when the check reaches the 401k, the value left behind may only worth $4700 because of stock market change. If I continue with the roll over, does it violate the rule that my 401k can only accept pre-tax money? What consequences are they if it does violate the rule? I have the same question as Mike above. My current 401K plan is performing great, but my IRA is performing horribly. I’d like to roll over my IRA funds to the 401K. I’m assuming I’d have to do this a bit at a time (probably annually) so I don’t exceed the allowable limit of contribution. Your feedback would be appreciated. 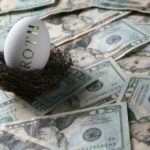 I rolled my last 401k over to an ira when I left the company. My new job has a pretty good 401k plan and I would like to take the ira and roll it into the 401k so I can make more money on it. Is this possible considering I rolled it over once already? I have the exact question as Pariah above (last entry #7). Any advice on this scenario? What about rolling over IRAs to a 401K so that you can then use the 401K for loans for your business? In my case, the 401K owned by my owned business that would be borrowing the money to buy products and paying it back from sales? Scott – excellent point. 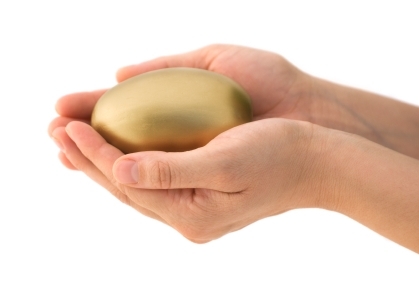 What if you’ve already converted a non-deductible IRA to a Roth. 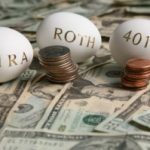 Can you still rollover your deductible IRAs to a 401K so that future non-deductible IRA conversions to a Roth don’t get taxed? Otherwise, when you convert the non-deductible IRA to a Roth, you have to include both non-deductible and deductible IRAs in your Roth conversion calculation (i.e. the IRS doesn’t just let you convert the non-deductible portion of your IRA). Hi! Love your articles, and just signed up for your Twitter feed – awesome. Here’s my question: If someone who is age 70 1/2 or older has an IRA from which RMDs have commenced, and subsequently rolls their IRA into their employer’s 401(k) plan, then, assuming that person isn’t a 5% owner, would the RMDs from the IRA monies cease while it is held in the 401(k) plan? And resume upon that person’s termination of employment? And a related question: If someone’s spouse is age 70 1/2 or older with an IRA from which RMDs have commenced, and the spouse dies, leaving the surviving spouse as the beneficiary of the IRA, and that surviving spouse elects to be treated as the owner of the IRA (rather than as the beneficiary of an inherited IRA), may the surviving spouse rollover that IRA into a 401(k) plan? Thanks so much! A good reason to do this is if you have a non-deductible IRA that you want to convert into a Roth in 2010 since for this year it’s an option for all income levels. You would first roll all your deductible IRAs into your 401k plans, which would leave your non-deductible IRAs as the only IRAs you have. Then when you convert, it will all be tax free. Otherwise you will owe taxes on the proportion of your total IRAs that is deductible, even if you were only interested in converting the non-deductible parts. @Steve – Your employers are actually in the ‘small’ market rather than the mid. As such, you’ll be subjected to 401k plans from annuity providers or investment companies that charge substantial fees. Depending on your employer, these fees with either be absorbed by the company or passed on to you (more likely the latter). If you don’t know what your fees are, the best place to go is to the broker who sold the plan. He or she will be able to tell you how much the plan costs to employees. Keep in mind that while there may be 100 employees, there may only be 30 participants in the plan. Generally, a mid sized company in 401k terms is north of 500 to 1,000 employees where you’ll see much better plans available. The bottom line with retirement plans through small employers is that it is 100% up to the employer as to what the costs to employees will be. As an example, Fidelity will accept small (even startup plans) as long as the employer is willing to pay a flat fee for their trustee, custody, recordkeeping, and other service fees. One other note, I’ve seen a trend where payroll companies are increasingly offering 401k plans at costs that are likely resulting in losses for the payroll company. If your fees are unsatisfactory, it’s not a bad idea to shop payroll companies to see what both payroll processing and a 401k plan would cost. Steve: Correct, the conduit IRA requirement was removed as part of the Economic Growth and Tax Relief Reconciliation Act (EGTRRA) of 2001. If the account was small enough, and the 401k decent, it would probably be worth consolidating. I have had some pretty bad 401(k)’s since I’ve been working for medium-sized employers (100 to 200 people or so.) Large employers tend to get better deals from 401k administrators/providers I guess. One annoying thing is how hard it is to find out the fees of a 401k. And the HR department often doesn’t know or doesn’t want to admit to said fees.